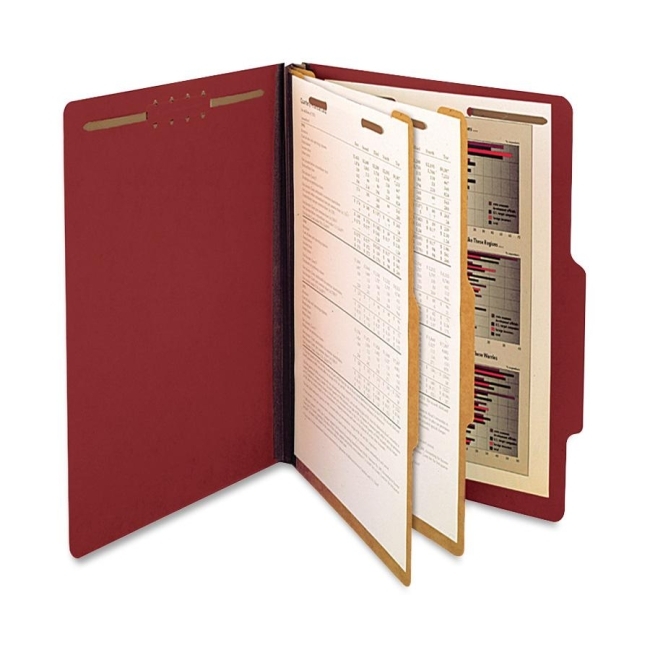 Sheet Size : 8.50" x 14"
Classification folders feature a 25 point, durable pressboard covers with strong Tyvek gussets. Metal fasteners inside front and back covers each offer 2" capacity. Dividers are made of sturdy 17 point Kraft stock and create three section and six filing surfaces. Each folder contains 30 percent post-consumer material. $33Smead Recycled File Folder - 0.75"
$26Smead Straight-Line Recycled File Folder - 8.5" x 14"